I have been working on this design for a while in collaboration with its new owner. 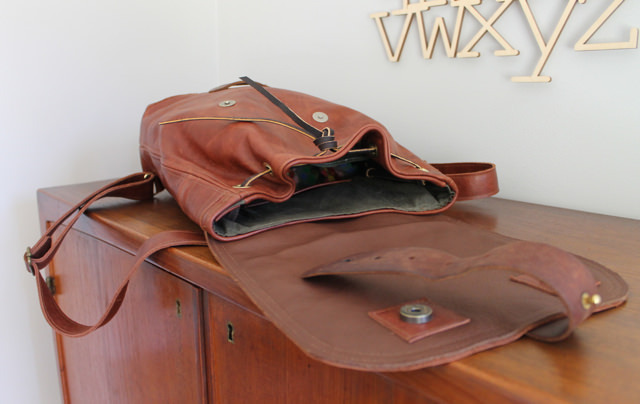 It is made with a remnant piece of gorgeous leather–how I wish I had more of it–and fastens with a repurposed Diesel belt. This is a full-time backpack lined in moss green waxed canvas. It is 12″ tall, 13″ wide and 3.5 inches deep. There is a zippered pocket tucked securely on the back, and three pockets inside: a leather phone pocket and two more, one of them zipped. 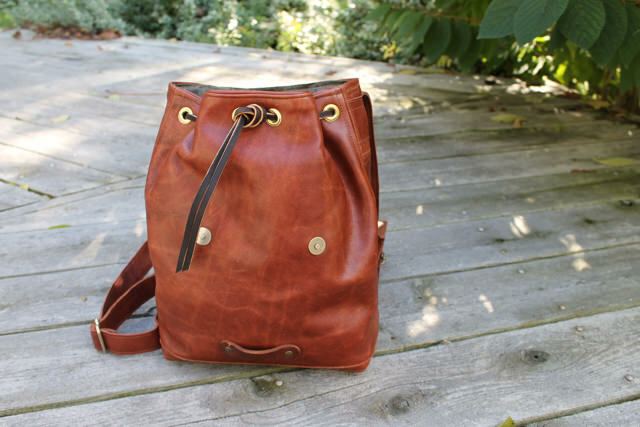 The bag does up with a leather drawstring as well as magnetic closures and the leather strap. 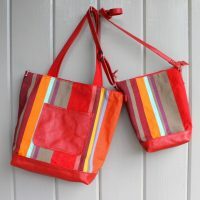 All the seams are doubly stitched and the bottom is reinforced with a second piece of leather. The bag will wear well. 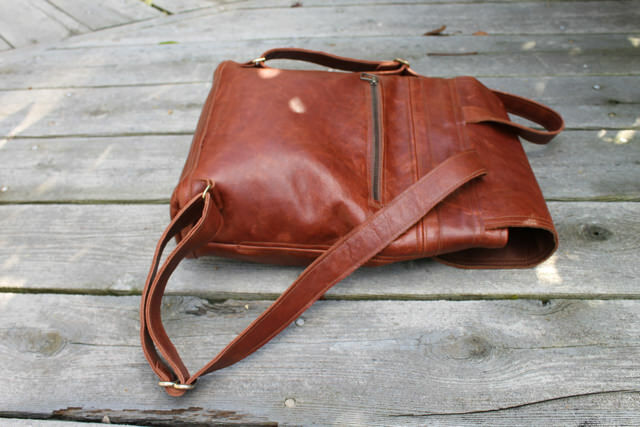 I am happy with this design and plan to make more out of other leather. If you are interested, let me know. GORGEOUS… Would I need to mortgage the house? I am interested. Glad you like the 1510–and no mortgage necessary! I’m pretty happy with the design. And yes I will be making more. Will let you know for sure. Do you have a colour preference? 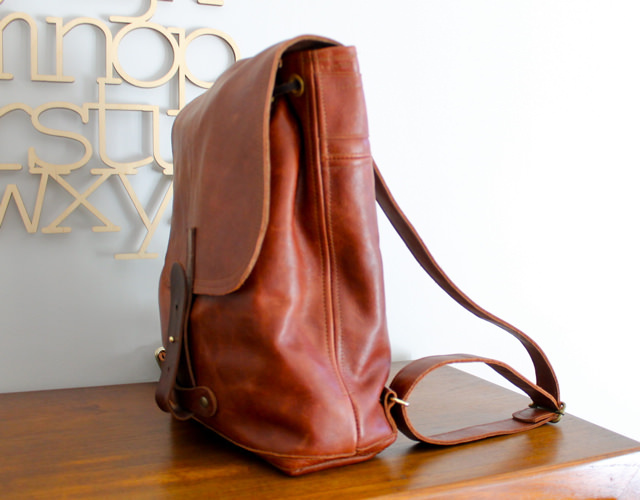 Love the new backpack – and especially love how you incorporated the belt (we talked about that). I am very interested in getting one – before Barbados time, if possible – it can be my Christmas present to myself. 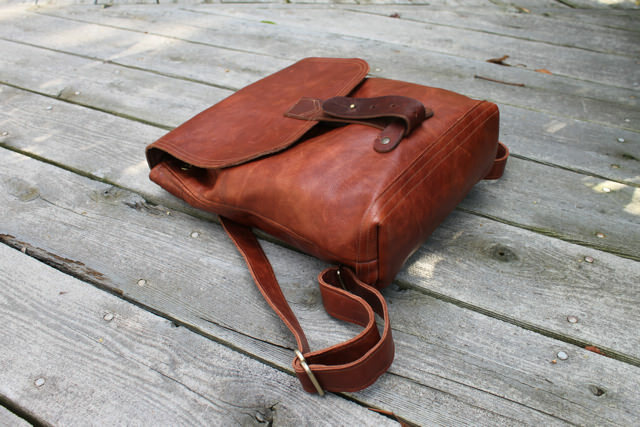 This I would like black, but love the heft of that leather, so let me know what you have. big hugs and congrats – it is perfect! All possible. 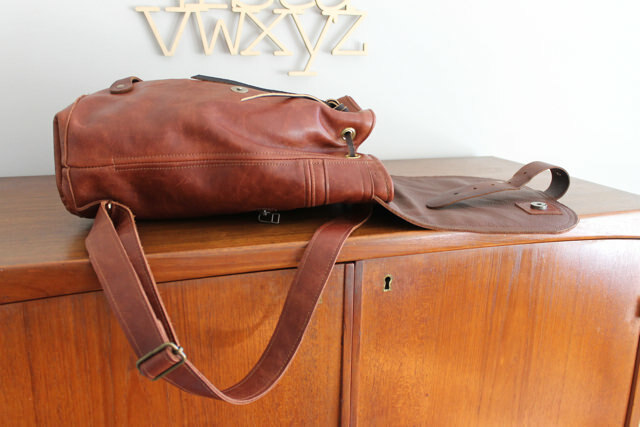 There are orders for 3 backpacks so far and luckily I was able to get more of that leather. When I get home we can talk. Black would be great too.